Time is slow in the Philippines. One can wait for buses and boats for many hours without much complaining. There is an understanding that things can be delayed. Time is slow. The Filipinos are known to have "manana habit", thinking that they can postpone a task for another day because there is always tomorrow to come. They are also known for coming late to appointments. It has become acceptable that a Filipino can come late to some scheduled appointments or agreements.There are always reasons that support the late arrival: late means of transport or natural calamities like storm, typhoon or cyclones. For this reason, stress is not a subject oftenly talked about. A Filipino claims to be the master over time and not time to rule over him. In Denmark the sense of time is defined by clocks stationed in many public places: train stations and other high buildings and institutions. Time is precise and everyone can count every minute or second. The flow of time is never forgotten. Every ticking of each second is recorded by clocks, watches, mobile telephones and when people are very much dependent on these time-giving devices, the more time takes control over man. The control of time gives stress. One has to reach this and that and to be able to do so, gives one the ability to be effective. The control of time is merciless because there is no understanding on the failure for one to come on time to work or to scheduled agreements because the effectivity of systems to function has been tried in many years as a sign of being a civilized nation. The stress among the Danes over the use of time and the control of time over their lives also stems from their own definition of themselves as people in the First World--with high technological way of living and a society of much effectivity. While the Filipinos take time as something slow and something that is always there and cannot be shortened or aborted, the Danes take time as something at the tip of their fingers, something that they can predict the future by filling schedules in their calendars that run up to many months or even years. Time is seemingly tamed by future plans, while the Filipinos refrain from predicting and filling the schedules in calendars, saying that the future is not something one can be sure about. While a Filipino tries not be enslaved of time but to be the master over it, he knows too,that he does not know the mind of the Creator and Giver of time. The Filipino values honesty. He knows it is a Christian virtue. But to be confronted with something wrong that he does in front of a number of people, makes him lose his face. This is called, "hiya". The Filipino has pride and honour to protect. One should not be insulted, otherwise the person who is insulted loses face. The Filipino is not that violent in nature. Talk of suicide bombs is a strange phenomenon. One would rather cry or inflict pain on one`s self if only to bear the shame over the losing of one's face. But there have been cases that the losing of one`s face drives one to inflict pain on others even death. The Danes are much more open, open to raise their comments and complaints. And in this way, there is a rebuttal of pros and cons until the truth surfaces out. In the Filipino culture, because of the loss of face, the surfacing of truth can be sacrificed. Things can be covered. Untruth can be supported if only that the person concerned cannot lose face. The Filipino needs the tenacity of the spirit and the courage to stand for truth whatever cost it may take. Those who have priced and valued truth by coming to the open, often sacrifice their lives, they in turn become prone to a life that is persecuted or made a target for murder. In Denmark I have not read cases of those who are secretly assassinated just because they have written something negative or shameful on a powerful politician in the public media. In the Philippines it would be a terrible crime to spread painting on the head of the highest political figure in the land. In Denmark truth is made open to public through debates and information dessimination. And any public figure is subject for dissection if only truth is made open to the public eye. Hiya, that is, the the losing of one`s face in the Philippine culture, makes it difficult to display to the public the painful part of truth. Corruption, for example, is a hidden game behind the tables and only the bravest can have the heart to make it open to the public eye. But they too, who work for truth must pay the high price. In the Philippines the grandparents are mostly part of the nuclear family. They feel their presence is valued, as they take part in the family`s function to take care of the small children. There is not much need for a day -institution to take of the small infants or small children.The grandparents and even the older relatives who stay with the family provide the necessary support system. frees the young family from taking care of their own aging parents. The task is delivered to the hands of the municipality with its employed personnels. While the aging parents in Denmark are taken cared of by professional health personnels at the home for the aged, the Filipino old people like the grandparents can run the risk of being neglected especially if they don`t have an immediate family to accept and host them. The Danish system provides security for the old people till death but never replaces the virtue of dignity an aging grandmother or grandfather can derive from the task of taking care of the growing children in the young family. In the Philippines a daughter or a son takes it as duty to take care of parents and even the younger brothers and sisters in the family. This sense of duty can sometimes be the reason that a daughter or son may delay from marrying. Or this sense of duty can be the reason that an older son or daughter in the family may choose to leave the country in order to get employment somewhere else which can give a higher salary. Many would rather go to USA or Europe, earn dollars or euros and send them to their home families in the Philippines. Many of these young sons and daughters have education in the Philippines but are willing to take the menial jobs just to be able to earn a higher income to be siphoned into the economic needs of their own families in the Philippines. The hard earned currency can be used for different purposes: for building a new house, for finishing the college or university studies of the younger sister or brother, for buying properties as source of income, or even for renewing the construction of a big building to house the grave of a deceased member in the family. In Denmark the sons and daughters in a young Danish family are not inculcated of the virtue of taking care of the family as a duty. The son or daughter is never obliged to take care of his/her parents till death.They can decide to leave their parents at the age of 18 and start their independent life without the economic support of their own parents. In the Philippines a child stays with the parents until she gets married. Only when she is able to form her own family, she can leave her own parents. The parents who have the better economic means can face the situation where married children without stable income can continue staying with them for the necessary continuing economic support. In Denmark one can talk of the children who are trained to be independent and responsible. In the Philippines one can talk of children who are continually dependent on parents` moral and economic support. The umbilical chord from birth has not been really successfully removed. A Filipino is considered a religious person. To believe in God is taken a natural part of what it is to be a human being. Belief in bad and good spirits affect a way of living which is marked by traditions and certain celebrations. God is taken a part of the whole of life and it is taken a shame not to believe in God. God is called "Bathala" in Cebuano language. In Tagalog or Filipino which is the national language, God is called "Panginoon" but with the coming of the Spaniards during the hispanic colonization, a Spanish term for God was introduced. God is "Dios" or "El Senyor." At present, God among the Filipinos is called Bathala, Panginoon and Dios. But the Philippines is not only a Catholic country out of the long years of Spanish influence. It is also a country which through the decades has witnessed the bloosomming of many protestant churches and fellowships. To them fiestas do not matter. They can join in the community entertainments and events but not giving head to the religious meaning of the feast which is to honor a Catholic saint. At some levels in Philippine society, there is also the growing demand of the clear separation between the Church and the State. In Denmark freedom is much priced that it is taken as a normal thing for one to declare as an atheist and to declare it with pride and strong conviction. A Filipino will find it difficult to understand this,because that is something taken as a shame. The idea that one is created by God is thought of as truth which cannot be recanted. The Danes find it normal to go to church seldom or to be present in church only at special occasions. There are celebrations which are of religious connotations like the "Højtider" like Christmas, Easter, Pentecost, Ascension and the Great Prayer Day but these are celebrations which are open marked by the churches or by some Christian homes. In the Philippines the religious celebrations that go along with the church events in the church calendar are much felt on the air through media, music, institutions, parades and community entertainments. Marriage is a sacred institution. As a Christian and a mainly Catholic country, the Philippines has the law of the land that prohibits divorce. The married couple is wedded for life and only death that can separate the two. However, there are marriages that for some reasons, do not work at all. And for these cases, there is granted what is called, legal separation. After a period of seven years the couple who have decided to live separately can present their case as a legal form where no law can persecute them if they, for example, can find another partner. They can live with the new partners they have chosen but they cannot remarry because marriage in the Philippines is only once. A partner who finds another partner before the given length of time which is seven years, can possibly be sued as one who commits adultery. Entering into relationship outside marriage is called "querida system", which means that one is galavanting outside marriage and relating sexually to a secret beloved. This system is still looked at as a great scandal. But of course, it surfaces now and then. Marriages are broken because nobody can bear the shame of being betrayed. But the local community also plays a role. A member in the family or the church pastor or members are much open to have a talk with the concerned man or woman who engages himself/herself in querida system. In Denmark this case is left private, very much private. In the Philippines, in the attempt to save marriage, the community local people or the immediate family members intervene, give counselling or harsh comments if only to save the crumbling marriage. In Denmark "querida system" is completely a private affair and the community is very much passive to accept the situation, valuing more the individual sexual freedom of man and woman. Children in the Philippines are considered as God`s great blessings.And it is looked as a crime to abort the growing fetus in the mother`s womb. Every sprouting life is considered sacred. Abortion centers are considered illegal. Doctors before the law, cannot perform abortion even if the woman pleads for it. However, secret abortion centers can be found in the country but generally, personnels performing abortion on a pregnant woman, are looked at as criminals. Recognizing the fast growth of population, the government has introduced the Family Planning Program which for many years, has introduced a number of alternaltives so married couples can safely plan their family by having lesser number of children. Some of the alternatives are condoms, vasectomy, IUD, ligation, etc. The Family Planning Program in the Philippines has created a role in the control of the population growth. However, there are also families that until now, consider children as God`s rich blessings, an asset to the family economy: The more children, the more income. Children are great helpers in the family livelihood and great help in sending monetary support for the family if they get the chance to be employed inside and outside the country. In Denmark there is seemingly a zero growth of population when many families will have only one or two children. Although one can see that there are also families having three or four children, it is a fact, that the the carrier oriented Danish young people who marry only at a later age, miss the chance of getting more children. In the Philippines, there is a general understanding that having a family of one`s own is the highest goal in life. When one gets married, before finishing an education, one can give himself/herself to the commitment in marital life and forgetting the dream of pursuing a further educational carrier. In the Philippines marriage ends the dream of one`s own self fulfillment and it is replaced with the dream for the children as parents are expected to support the children until they get married. In Denmark it is common to see children leaving the home of their parents at the age of 18 and they start their independent life. At the age of 18 the child in the Philippines is out of the family, only if she gets married or if she goes to another town for studies. However, if the newly married Philippine couple are not able to support themselves, they can also stay with their own parents and thrive out of the income of their own parents. When the time comes for them to be economically sufficient, then it is their turn to support their aging parents till the parent`s death. It is the children`s duty because there are no homes for the aged in the country. Respect for parents is a highly priced virtue, expected from the children. A child should not raise his/her voice against her parents because that is considered disrespectful. A child is expected to be obedient and passive. In Denmark a child enjoys much more freedom, even the freedom to go against his/her parents. And no one dares to call it a form of disrespect. Author: Elizabeth Padillo Olesen, moved to Denmark in 1995. Min lille ø, Hingotanan, hvor jeg blev født. 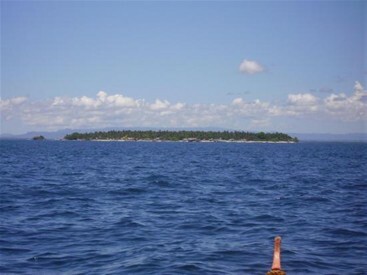 My little island, Hingotanan, the island in the province of Bohol, in the country Philippines where I was born.